Do you want all-natural relief with little to no side effects? Perfect for those times when you dont want THC. A sweet candy flavor hides the potent effects, quickly leaving the user feeling happy and relaxed. BRAND NEW: Gelato Feminized Seeds From $79.00 - FREE USA Delivery Guaranteed! For those who enjoy tutti-frutti, candy flavors, Three popular strains in feminized format, all with a sweet candy flavor and aroma. Baked Sweets Feminized Seeds Mix From $149.00 - FREE USA Delivery Guaranteed! Enjoy a selection of three notoriously potent marijuana strains with enhanced THC levels, each capable of producing a soaring, cerebral high. DEA Feminized Seeds Mix From $149.00 - FREE USA Delivery Guaranteed! 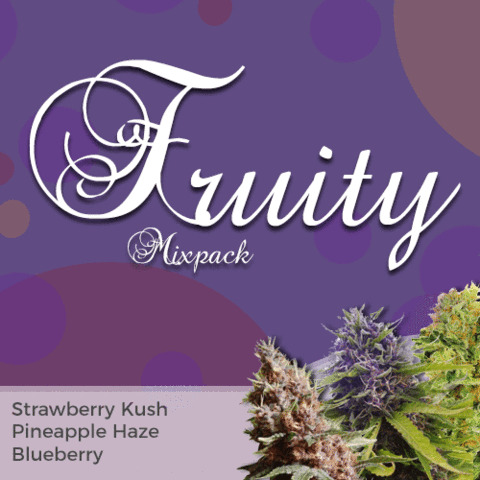 Each of thes strains in the Fruity Kush mixpack have been created to produce a fruity taste and aroma, with mouth-watering mango, banana and blackberry flavors. Fruity Kush Feminized Seeds Mix From $109.00 - FREE USA Delivery Guaranteed! For some people, it's all about the high, and the Heavy Hitters mixpack contains three potent and powerful strains, each with a knock-out punch. Heavy Hitters Feminized Seeds Mix From $149.00 - FREE USA Delivery Guaranteed! Three very popular varieties of marijuana, each created to generate large buds, huge yields and powerful high's. Power Feminized Seeds Mix From $149.00 - FREE USA Delivery Guaranteed! 100% Guaranteed Germination - FREE Shipping - USA Canada Europe. MARIJUANA SEEDS - FREE GROW GUIDE - CLICK HERE! 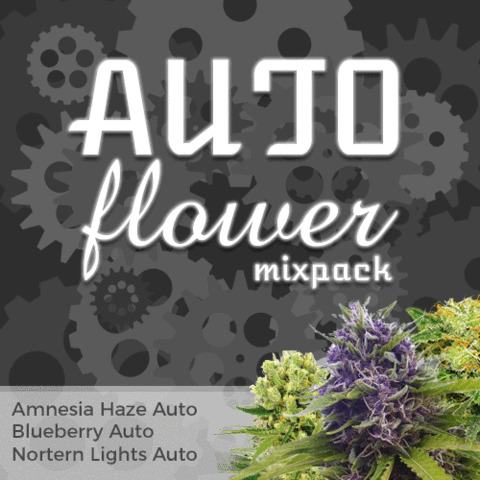 Best selection of Auto Seeds. Buy marijuana seeds with guaranteed delivery and germination, first-class customer services and all the help and information you could need to successfully achieve a high quality harvest. Whatever amount you grow, Recreational grower, Medical Marijuana provider or Cash-Cropper, you can buy Marijuana seeds for all levels of skill and experience. From novice to expert find the best strains for your needs and growing style.Indoor, outdoor, high potency and high yielding Marijuana seeds, many in feminized, regular and autoflowering form. All with FREE GUARANTEED DELIVERY. No matter where you live, you can buy Marijuana seeds that are guaranteed to arrive at their destination. The methods used for shipping their seeds and Marijuana growing products is so discreet, it rarely arouses any suspicions, but should it get lost, stolen, or for any other reason not arrive, your order will be re-shipped totally free of charge. All the feminized Marijuana seeds available from I Love Growing Marijuana are guaranteed to produce female-only plants. All Marijuana seeds contain the genetics to become either a male or female plant. The female plant produces white pistols or flowers that gradually multiple and swell building buds and trichomes that contain the THC. 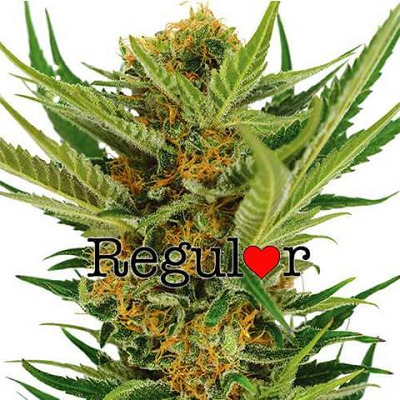 Whether you wish to buy marijuana seeds to grow indoors, or outside, a rogue male pollinating your crop can have a devastating effect, reducing both the harvest and THC levels. 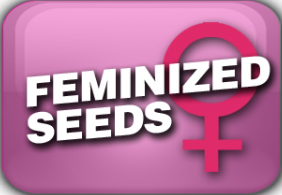 Because of this many growers prefer to grow feminized Marijuana seeds, which in 99% of cases only produce female plants. 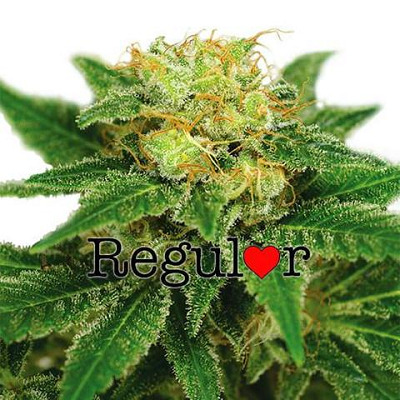 When you buy Marijuana seeds on-line, make sure you buy from reputable and respected breeders. 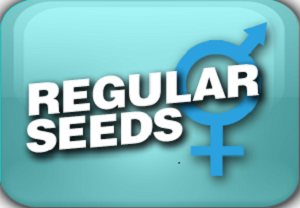 Unstable feminized seeds can produce both male and female flowers on the same plant, these are known as hermaphrodites, and, because they almost always self-pollinate, never reach the potential yield or THC levels of sensimilla, or unseeded bud. 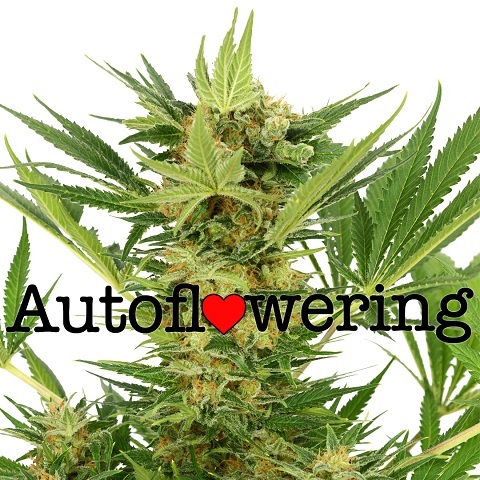 Autoflowering Marijuana seeds have become popular in many of the southern States in America due to their unique ability to flower, regardless of the number of hours in darkness they receive. A perfect choice for growing Marijuana outdoors, especially during the Summer months when standard Marijuana plants would receive too many hours of sunshine to activate the flowering cycle. 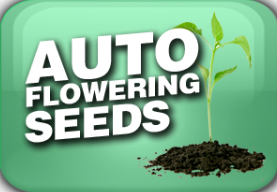 If you are new to growing Cannabis, Autoflowering Marijuana seeds are the perfect choice. 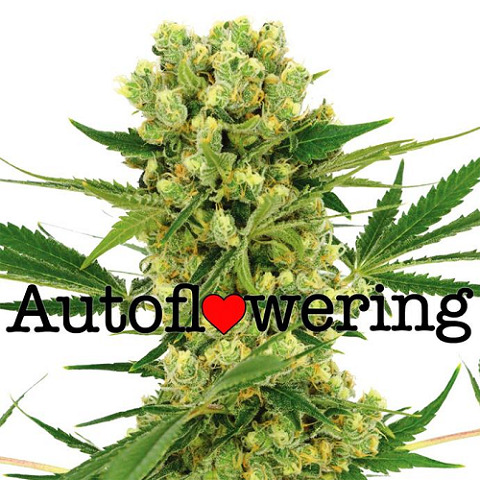 All the seeds offered by I Love Growing Marijuana are feminized Autoflowering Marijuana seeds, guaranteeing a female-only plant every time, and with these seeds being so easy to grow, anyone can learn can to grow high quality Marijuana….FAST! 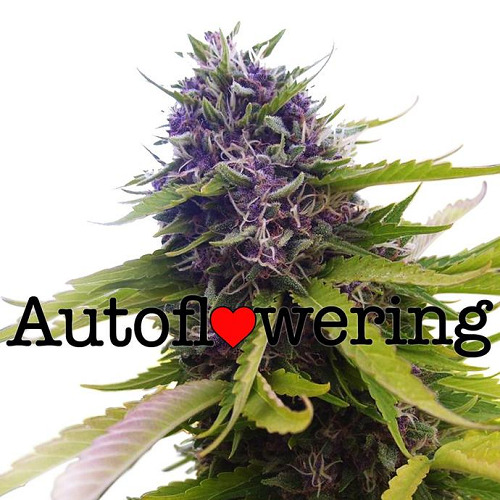 Autoflowering Marijuana thrive when grown outdoors during the Summer months. The long sunny days are perfect for these plants, so there is no need to worry if they are getting enough darkness, even grown under twenty-four hour light, they will still flower and fully mature, offering a harvest of high quality Marijuana buds. 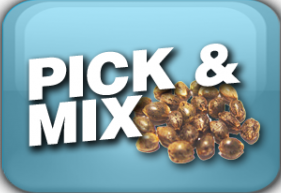 If you are unsure which Marijuana seeds are best for your needs, why not try a mixed seeds pack. I Love Growing Marijuana offers a choice of five different mix selections, with each pack containing three different strains. With three seeds of each strain included, that’s a total of nine Marijuana seeds in every mixed seed pack. Different levels of THC and CBD can alter the high dramatically, one of the benefits of the mixed seed packs is with three strains in every pack, you’re sure to find an aroma, taste and high that you enjoy, and suits your needs precisely. From ‘Cash-Crop’ strains to the more exotic, you’ll be surprised at how much you can save when you buy mixed Marijuana seeds, and with every delivery guaranteed to arrive, as well as every seed guaranteed to germinate, anyone can now start planting Marijuana seeds and looking forward to a varied harvest at a fraction of the cost. REGULAR MARIJUANA SEEDS – CREATE YOUR OWN STRAIN! For the more advanced and experienced grower we also offer a selection of Regular Marijuana seeds, all guaranteed to germinate, producing either a male or female plant with the very best genetics. Marijuana seeds are deciduous, producing either male or female plants, and both are necessary to create your own seeds. These regular Marijuana seeds are of the highest quality, producing either a male or female plant. If you wish to create your own seeds you will need pollen from a quality male plant, while clone gardeners are best suited by using a regular female mother plant, as feminized seeds do not make good clones. 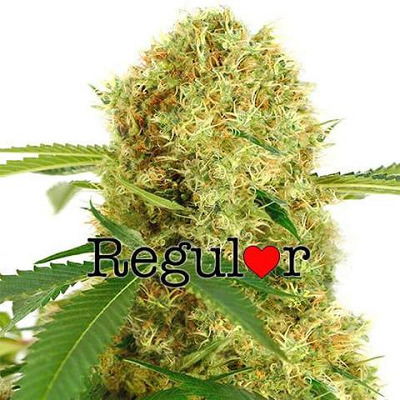 This collection of regular seeds are fresh and guaranteed to germinate, producing a superior male or female Marijuana plant with the traits, attributes and characteristics you expect. Each pack contains an equal mix of 50/50 male and female seeds that will require sexing as they begin to flower. All the Marijuana seeds for sale from I Love Growing Marijuana are covered by their shipping guarantee. Their selected seeds are used by many commercial Dutch growers, and are now offered to the public fully covered by their 100% germination guarantee. VEGPAGE – FOR ALL YOUR MARIJUANA SEEDS.